As comfortable with a honky-tonk number as a pure pop melody, Faron Young was an influential performer that helped smooth country music’s trip uptown. label bought out his contract so they could release his music to a national audience. His career was diverted by his drafting into the Army, but it was back on track as soon as he returned to the states. He had several popular country hits in the fifties that were steeped in honky-tonk sounds, aided by a little Western swing. His photogenic looks also got the attention of Hollywood, and soon Young was known as the Hillbilly Heartthrob, appearing in several movies while continuing his dominance at radio and on stage. Young was significant for his ability to identify new songwriters with promising talent. He was the first to score a big hit with a Don Gibson song, taking “Sweet Dreams” high up the charts several years before Patsy Cline did the same. He also brought Willie Nelson to Nashville’s attention when he turned the quirky “Hello Walls” into a massive hit in 1961. Soon after, he switched from Capitol to Mercury, and at this time his music took on a more pop-oriented sound. His ability to adjust his style kept him relevant for a longer time than most of his fifties counterparts. He was still a consistent presence on the radio throughout the sixties and much of the seventies, even topping the charts with “It’s Four in the Morning” in 1971 and reaching the top forty as late as 1978. He switched to MCA records late in his career, but it didn’t rekindle his success at radio. Throughout the eighties and early nineties, he remained popular on stage and on television, making frequent Opry appearances as one of the organization’s most senior performers, having joined in 1954. Sadly, illness sidelined him, and his depression over his weakened state led to his death in 1996 by a self-inflicted gunshot wound. Despite the tragic end to his amazing career, his significance was immortalized in 2000, when he joined the hallowed ranks of the Country Music Hall of Fame. 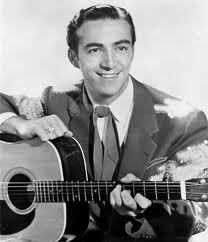 Faron Young could sing anything from Hillbilly to Classic Pop and do it well. My favorite Faron Young songs are from the Mercury period starting with “Wine Me Up” in 1969 and lasting through about 1974, but I like music from the entire breadth of his career.